She was that funny character Pek Lin in the worldwide box office film ‘Crazy Rich Asians’, but this time Awkwafina shines through delivering an electric performance in the Asian-centric dramedy ‘The Farewell’. 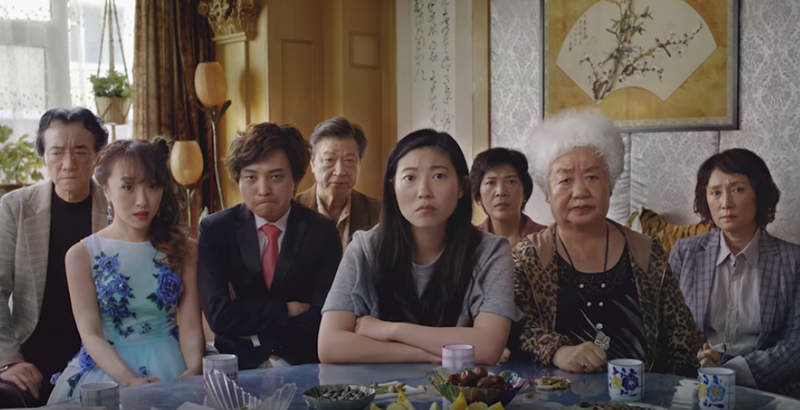 ‘The Farewell’ made it to the Sundance Film Festival, with Awkwafina as the lead role. The film’s opening with the title card: “Based on an actual lie” relates to the Awkwafina’s character, Billi, 29-year-old Chinese-American who has a close long-distance relationship with her grandmother “Nai Nai” who lives in China. Billi is out of work and has just learned she was rejected for a fellowship. She went home to China to visit her grandmother who is dying of cancer. In keeping with Chinese tradition, the family has decided to not tell their grandmother for her terminal illness. They want to pay their respects under the guise of reuniting for the wedding of a cousin. “I didn’t think that I would be able to cry. I just didn’t think that I would ever be able to harness that. But with this movie, I would cry like even when we were blocking a scene,” she said. In comparison to her previous Asian movie, ‘The Farewell’ gives a totally different Asian American narrative showing that Asians aren’t just one monolithic culture with one story. “You have the first evolution, then you have the second evolution of stories,” she was quoted saying by the Deadline entertainment portal. 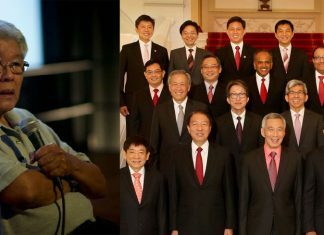 The actress expressed her happiness for ‘Crazy Rich Asians’ winning as the Critics’ Choice Best Comedy despite no nominations at the Oscar. “I mean I don’t really know the exact reasoning behind it, but I think that of course it would have been cool. We had an amazing award run. We were up for tons of awards and we actually won the Critic’s Choice Best Picture,” she said. 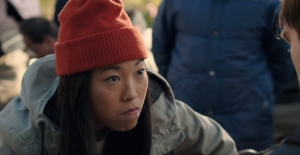 “I think the entire cast, instead of saying like, ‘Oh we’ve been snubbed –except for Ronny Chieng who did an entire special about how he was snubbed from supporting actor—I think the entire cast, we’re very grateful for the attention that it’s gotten,” Awkwafina added, with a side bit of jokes alluded to her former castmate Chieng. Awkwafina is also known for her role in “Ocean’s 8”, alongside with Sandra Bullock. She is cast to be one of the voices in the sequel of The Angry Birds Movie (2016) and is in talks to be one of the stars in the follow-up to Jumanji: Welcome To The Jungle (2017).